How to write a perfect proofreading assignment? Every student wants to make the assignment flawless by using proofreading to get good grades. 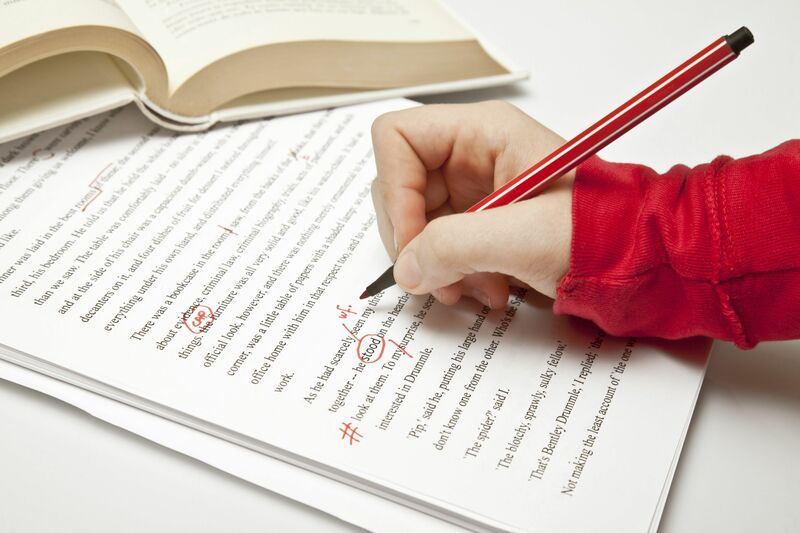 Proofreading allows the students to modify their content to make the solution perfect. Error free solution is the first requirement of every assignment so proofreading is the best method to remove unwanted silly mistakes from the task. At first sight, solution seems good but some errors are always there which are left by student in hurriedly writing assignment. These mistakes are small but for professor's point of view, it will be harmful for your score. Proofreading takes lots of checking criteria which is carried out using some techniques. It is suggested to students that they should start proofreading after taking a rest of a day because it so happen that just after writing assignment a stressed mind can't engage again with the assignment to kick out the mistakes. So students should wait for 24 hours to go for proofreading. Proofreading requires time, patience and concentration. Also student must ensure that he/she are not rushed, tired, or distracted. It is advised to students to take print out of the assignment to proofread. Reason behind it in electronic copy of assignment editing and marking is arduous work and high chances that some mistakes are left. There are many scientific values which have complex values and tough to give notation in word document. So make sure that all symbols, notations and values are correct. Reading out the assignment loudly compels the students to read each and every work of the assignment. This is very effective technique to proofreading because with this student passes through each word. Check grammar carefully. There are many tools to check the grammar but don't rely completely on them because every tool has its own limitations which may left some errors there. Make sure that all the spellings of the words are correct. To correct them students can also take help of spelling checker which are very helpful. Similarly take care about correct punctuation because punctuation is something which can change the meaning of sentence if not properly place correctly there. Students who are still facing problem to do professional proofreading, those can seek help of online assignment help provider. Nowadays Online assignment expert assistance is out in the air and students are securing desired score in their various courses. It is a smart approach to hit the bull's eye using online expert help services. Online assignment experts hold ample of knowledge of various subjects and good enough to deal with any level of assignments. Their high involvement in assignment work is appreciable and very versatile in doing proofreading assignment especially. In this world of completion, the time has come to change the normal way of doing assignments. Many students are taking benefits from assignment experts for long time and moving towards their bright career. Then what is the need to bend over backwards to do proofreading the assignment when a large part of students are seeking smart way to achieve desired goal.